Cantu offers a Green Shield Certified service – The Cantu Green Service. Green Shield Certified is an award-winning, independent, non-profit certification program that promotes practitioners of effective, prevention-based pest control while minimizing the use of pesticides. David is very nice and respectful, Melony is very sweet and quickly reponds to my messages. 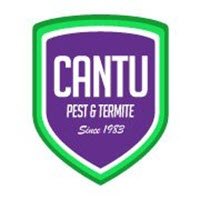 It has been a great experience for a few years now and we will continue to use Cantu Pest for our home. I am very satisfied. David made a good service. He is friendly. Completely Professional starting with my initial phone call, Appointment at home, Service and the follow-ups. I recommend Cantu to anyone. Good service. Technicians do a good job and are friendly. Excellent service and the staff are very professional. Highly recommended. Rates are very competitive too! Professional and always on time . They are always willing to come back to do outside treatment again if it rains . Traye came out and was very thorough with the inspection and apply the chemicals and bait. Cantu Pest Control does a great job keeping my property pest free. The technicians are always responsive to any concerns I have. They're always on time and very professional. We were very pleased with our recent home pest service. The service technician actually arrived early! The staff were all very courteous and professional. The flea epidemic is over! Service was great in Allen, Texas so I transferred my account to Houston when we moved. So far, I am just as pleased with the service. Sam always does a thorough job. service was thorough and took care of my issues. friendly and helpful staff. thank you. I just want to brag on a very unexpected kindness from a company I will now be a lifetime customer of. Cantu Pest Control in LaPorte 713 999-3495. I heard a very unwelcome guest in the (I think) interior wall of the master bedroom the other night when I was about to go to sleep . After a sleepless night on the couch I called Cantu Pest Control in LaPorte the next morning as a new customer thinking I would possibly get a technician out sometime that week. To my surprise I was not only offered same day service but pretty immediate service which I was greatly appreciative of since I don’t want to share my home with what was scratching around in the wall. I can’t brag enough on the technician Rolando and the kind man that answered the phone that morning . It is so nice getting great service ! Thanks again Cantu Pest Control! so far so good after 2 treatments. I just want to brag on a very unexpected kindness from a company I will now be a lifetime customer of. Cantu Pest Control in LaPorte 713 999-3495. I heard a very unwelcome guest in the (I think) interior wall of the master bedroom the other night when I was about to go to sleep . After a sleepless night on the couch I called Cantu Pest Control in LaPorte the next morning as a new customer thinking I would possibly get a technician out sometime that week. To my surprise I was not only offered same day service but pretty immediate service which I was greatly appreciative of since I don"t want to share my home with what was scratching around in the wall. I can"t brag enough on the technician Rolando and the kind man that answered the phone that morning . It is so nice getting great service ! Thanks again Cantu Pest Control! Great service! They show up on time & are very thorough. Haven't had any problems with Cantu and they've always provided great customer service. We appreciate your business, and when we have a problem you all are great helping solve our problems. I also need a copy of our last inspection. I would appreciate,Thanks you all have a great day. gerri chandler. The technician was very professional and even early for the appointment. Will highly recommend. Quick and courteous service everytime. i am so happy i could just sxxx. Sugar ants were gone in less than 2 days. Thank you! Yes I’m satisfied Thank you. The service works well keeping roaches and other insects out of my home. On top of that, the two different exterminators that have done the spraying have been very friendly and knowledgeable.